There was nothing romantic about the Vikings’ visits to Paris in the 9th century, but their journeys transformed an island market town into the capital of France. On a late November day in A.D. 885, a bishop clutched a crucifix in his hand as he looked out from his perch atop the Ile de la Cite. After surveying the foreigners gathering far below on the banks of the River Seine, he planted his cross in the ramparts and picked up a bow and an axe. The shedding of blood may have violated his priestly vows, but these were no ordinary times. The Vikings had returned to Paris. Count Odo defends Paris against the Norsemen. 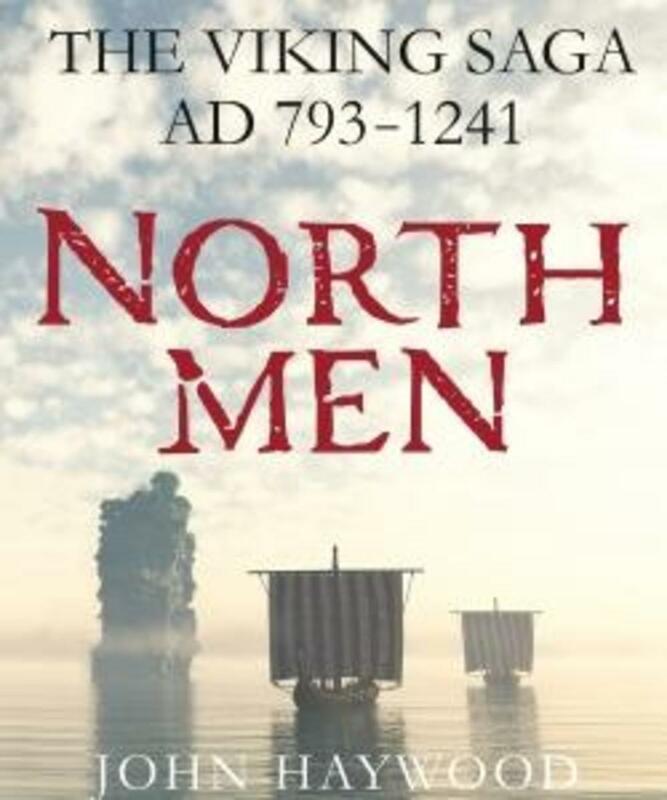 The losers in the internal power struggles could, by virtue of royal blood, still command enough men in a longship to raid foreign shores, and among the repeated targets of Viking raiders in the ninth century was a market town clinging to a small island in the Seine—Paris. Long before it became a cosmopolitan city, Paris was a stop on the liquid highway to the richer lands of Burgundy. 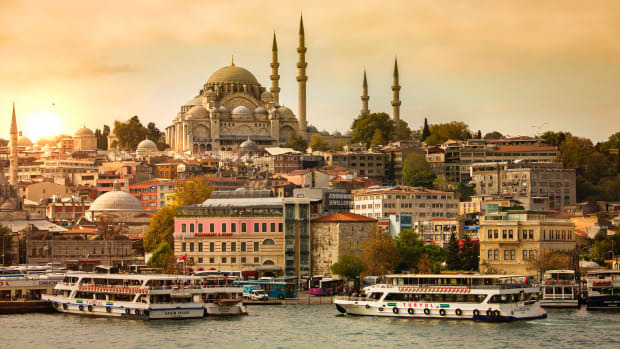 Coastal protections built by the emperor Charlemagne had brought peace and prosperity to inland river settlements such as Paris, but after his death in 814, the defense system began to decay along with the Carolingian Empire. 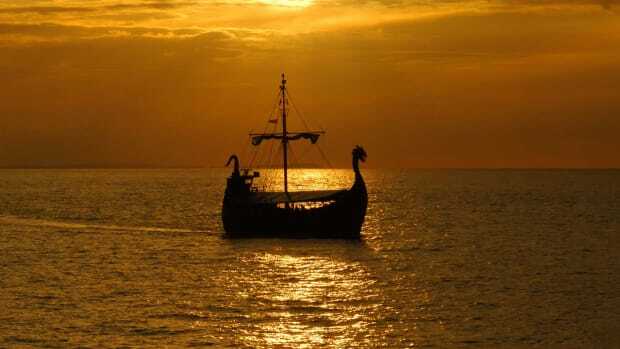 The Danes first attacked Paris on Easter Sunday in 845 when the Viking Ragnar, who is traditionally linked with the legendary saga character Ragnar Lodbrok, led a fleet of 120 ships and as many as 4,000 men up the Seine. 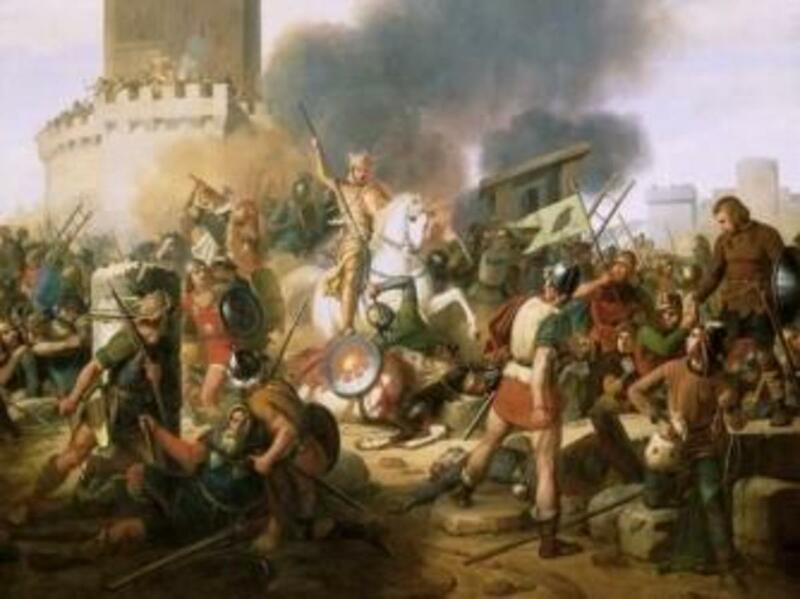 After defeating troops sent by West Frankish King Charles the Bald, Ragnar’s men plundered and occupied Paris until the follically challenged monarch gave the Vikings 7,000 pounds of silver to leave. 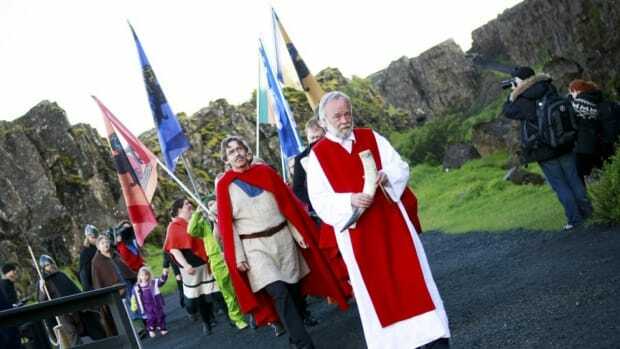 Repelling the Vikings may not have been on the bottom of the king’s list of problems, but it didn’t top it either. More preoccupied with defending his throne from power-hungry brothers and preventing rebellious counts from usurping his royal power, Charles the Bald repeatedly paid to the Vikings tributes raised by increased levies on his subordinates. 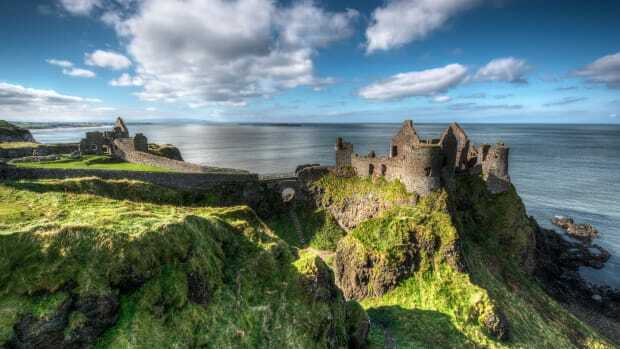 He hoped the money would make the problem—and the Vikings—go away, but the payouts only encouraged more raids and hurt his popularity with his subjects, who were not only being plundered and taxed to benefit the Scandinavian invaders but barred from constructing fortifications out of fear that rebellious counts would use them for protection against royal troops. The Vikings sacked Paris in 856 and burned it again five years later. When the Danes returned in late November 885, eight years after the death of Charles the Bald, the settlement was better prepared. 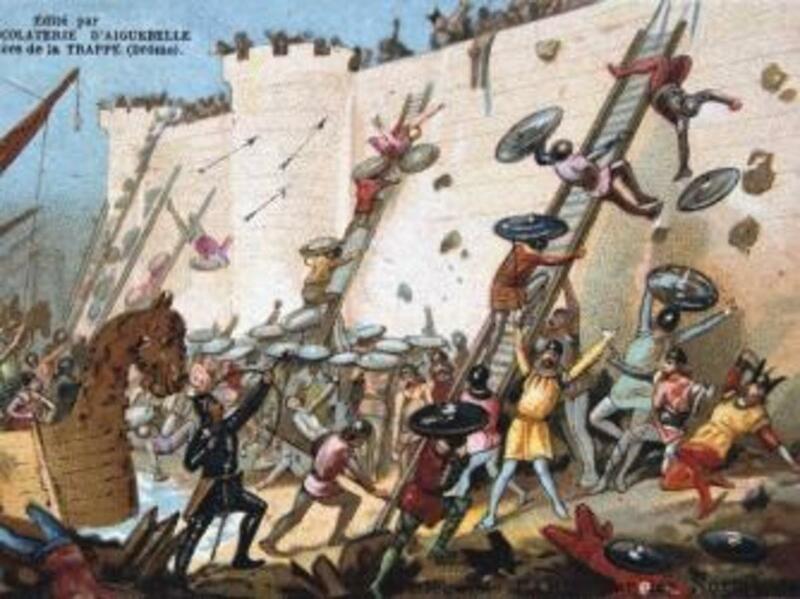 Two wooden bridges that linked the Ile de la Cite to both banks of the Seine prevented the passage of raiding ships further upriver, and a soaring wall built under the supervision of the Bishop of Paris, Gauzelin, encircled the island. The Viking leader Sigfred arrived in Paris to ask Gauzelin for free passage to ravage the countryside in return for sparing the walled town, but the bishop refused. The following morning, the Vikings launched an assault on Paris with catapults and battering rams. 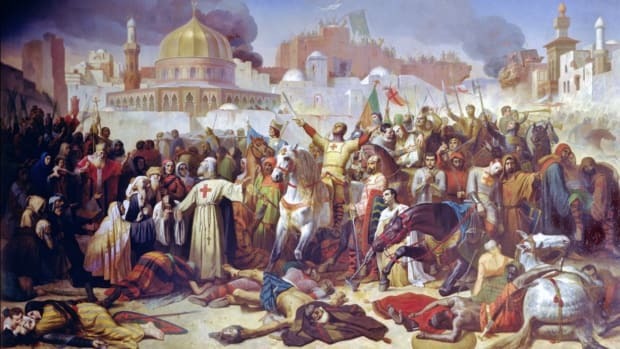 Even the bishop joined the Parisians who defended their settlement by launching arrows from crossbows and pouring buckets of boiling oil, pitch and wax onto the raiders. As Haywood points out, it was unusual for the Vikings to lay siege to a town because mobility was their key to success, but Sigfred’s men hunkered down for the winter on the banks of the Seine and did not attack again until the last day of January 886 when they launched three fireships into the Grand Pont in an unsuccessful attempt to burn it. What the Vikings couldn’t do, however, Mother Nature did weeks later when floodwaters washed away the Petitie Pont. 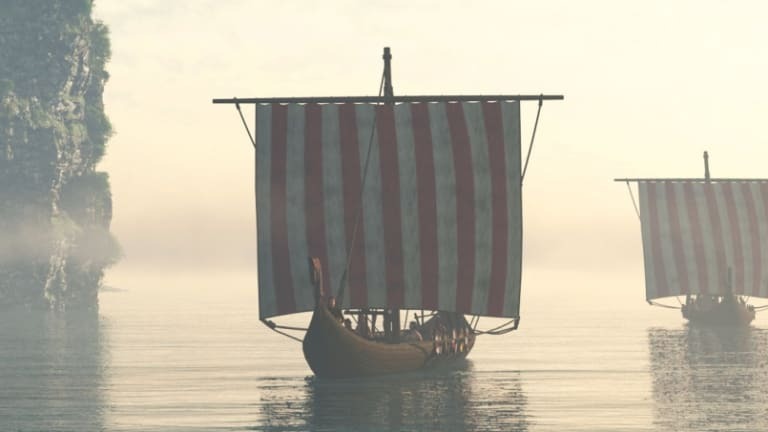 The Vikings were finally able to move further upstream but continued the siege as hunger and disease claimed the lives of many Parisians, including Gauzelin. Not until October 886 did King Charles the Fat, the new ruler of West Francia, send troops to end the nearly year-long siege of Paris. 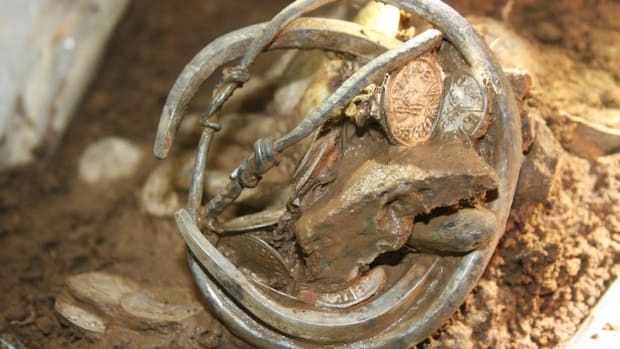 The king ultimately paid the Vikings 700 pounds of silver and granted their original request to move freely up the Seine. Parisians felt betrayed by their ruler. Although the Vikings never took Paris, the nearly year-long siege marked a turning point in French history. 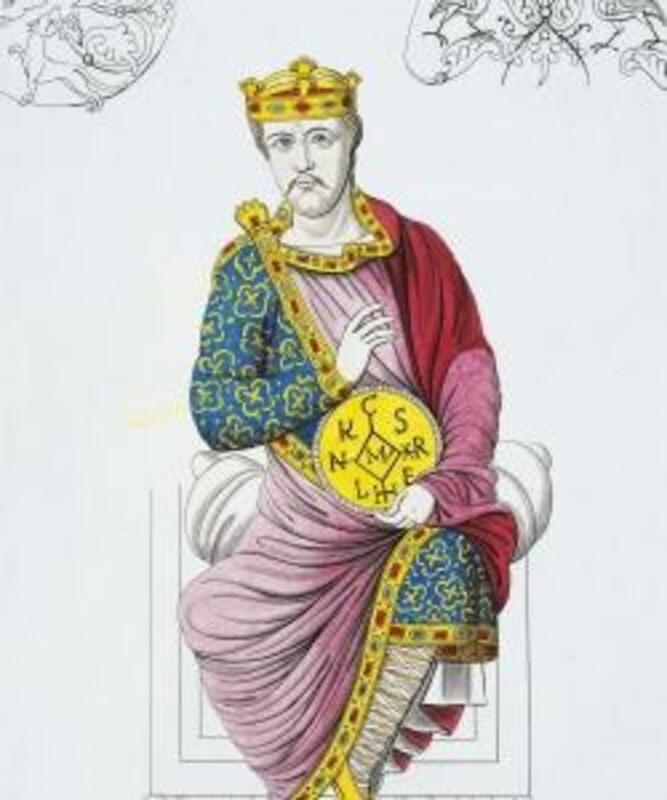 The failure of the king to protect his subjects accelerated the decline of royal authority and the breakup of Charlemagne’s empire. After Charles the Fat was deposed in November 887, West Francia eventually chose Odo, the count of Paris who led its valiant defense, as its new king. Odo’s reign saw a marked decline in Viking activities in the region, and the defenses of Paris withstood the occasional attacks that occurred in the ensuing years.